Why doesn't nautilus display the Free Space of a partition? 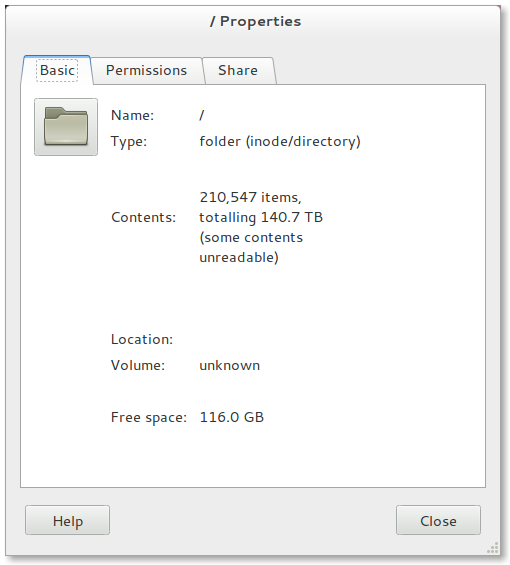 This feature was a really nice thing and its really difficult to get to know the free space available in a partition. Can't we get a tool-tip or something of that sort to display the free space. Is there a way to get this feature back in ubuntu 11.10. That feature was available in the Nautilus statusbar, which is disabled by default (a floating, autohide statusbar is used now) for Nautilus 3. But you can re-enable it: in Nautilus, select View > Statusbar. Not the answer you're looking for? Browse other questions tagged 11.10 nautilus or ask your own question. How can I make the Wubi installation partition bigger? what's the fs type for mounting an existing Ubuntu partition? Nautilus (11.10), getting the old icon-list-small menu back on panel? Where are the nautilus arrows and the status bar?